Periodic training systems typically divide time up into three types of cycles: microcycle, mesocycle, and macrocycle. The microcycle is generally up to 7 days. The mesocycle may be anywhere from 2 weeks to a few months, but is typically a month. A macrocycle refers to the overall training period, usually representing a year or two. There are longer cycles as well for an olympic or professional athlete, anywhere from 1 to 4 years, and the career plan which is usually only considered for Olympians and professional athletes also. Training should be organized and planned in advance of a competition or performance. It should consider the athlete’s potential, his/her performance in tests or competition, and calendar of competition. It has to be simple, suggestive, and above all flexible as its content can be modified to meet the athletes rate of progress or setbacks due to injury. A macrocycle refers to an annual plan that works towards peaking for the goal competition of the year. There are three phases in the macrocycle: preparation, competitive, and transition. The entire preparation phase should be around 2/3rds to 3/4ths of the macrocycle. The preparation phase is further broken up into general and specific preparation of which general preparation takes over half. An example of general preparation would be building an aerobic base for an endurance athlete such as running on a treadmill and learning any rules or regulations that would be required such as proper swimming stroke as not to be disqualified. An example of specific preparation would be to work on the proper form to be more efficient and to work more on the final format of the sport, which is to move from the treadmill to the pavement. The competitive phase can be several competitions, but they lead up to the main competition with specific tests. Testing might include any of the following: performance level, new shoes or gear, a new race tactic might be employed, pre-race meals, ways to reduce anxiety before a race, or the length needed for the taper. When the pre-competitions are of a higher priority there is a definite taper stage while lower priority might simply be integrated in as training. The competitive phase ends with the taper and the competition. The transition phase is important for psychological reasons, a year of training means a holiday is in order. A typical weekend warrior might take three months while a professional athlete might take as little as two weeks. A mesocycle represents a phase of training with duration of between 2 – 6 weeks or microcycles. During the preparatory phase, a mesocycle commonly consists of 4 – 6 micro-cycles, while during the competitive phase it will usually consist of 2 – 4 micro-cycles depending on the competition’s calendar. The goal of the planner is to fit the mesocyles into the overall plan timeline-wise to make each mesocycle end on one of the phases and then to determine the workload and type of work of each cycle based on where in the overall plan the given mesocycle falls. The goal in mind is to make sure the body peaks for the high priority competitions by improving each cycle along the way. A microcycle is typically a week because of the difficulty in developing a training plan that does not align itself with the weekly calendar. Each microcycle is planned based on where it is in the overall macrocycle. The annual plan is important in that it directs and guides athletic training over a year. It is based on the concept of periodization and the principles of training. The objective of training is to reach a high level of performance (peak performance) and an athlete has to develop skills, biomotor abilities and psychological traits in a methodical manner. This phase consists of the general preparation and specific preparation. Usually the general preparation is the longer of the two phases. This phase may contain a few main competitions each containing a pre-competitive and a main competition. Within the main competition, an uploading phase and a special preparatory phase may be included. This phase is used to facilitate rest, relaxation and biological regeneration as well as to maintain an acceptable level of general physical preparation. This phase lasts between 3 – 4 weeks (maybe longer) but should not exceed 5 weeks under normal conditions. Succeed Personal Development has worked with many sporting teams and individual athletes. We are the current 2010 Australian personal training business of the year and experts when it comes to training for your sporting goals. Contact us for a free consultation !!! The term strength training refers to developing muscle strength and endurance through resistance (weight) training. Muscle strength refers to a one-time maximum effort of force that one applies in a movement of a single muscle group. Muscle endurance is the ability of muscles to apply a sub-maximal force repeatedly or to be exercised over an extended period of time. Common body weight exercises that build both muscular endurance and strength are push-ups, chin-ups, a variety of machine exercises, and lifting free weights. Strength training will prevent muscle tissue from declining as you get older. Contrary to popular myth, however, strength training will not make you bulky unless you set up a strenuous program that’s geared to that particular purpose. Yes ladies it is virtually IMPOSSIBLE for you to ‘BULK’ unless you actually train for that and even then it is a hard road for you. That is where a personal trainer really comes in handy for you. Keep in mind that the main metabolic difference between aerobic (exercise that uses oxygen during performance) and anaerobic strength-building exercises is that while aerobic burns more body fat during the actual exercise, anaerobic exercise continues to cause calories and body fat to burn for quite a while after the session is over. For this reason, anaerobic exercise has a far more dramatic effect on your resting metabolic rate. Scientists have only recently begun to recognise this benefit of anaerobic exercise. Training for musclur strength has been popular for many years among bodybuilders and professional athletes, but the general population is now finding its way into many of the gyms in Australia. One of the main benefits of strength training is that it builds the density of muscle – and the more denser the muscle, the more calories that are burned up. As we age our metabolism decreases by about ½ percent every year, from when we hit our thirties. When you consider every pound of muscle burns 50 calories a day, it’s easy to understand the contribution that muscle makes to losing weight quickly and effectively, and keeping it off in the long run. For every pound of fat that you replace with muscle, you’ll lose a half a pound of body weight. We burn off calories both during and after exercise, even as we sleep, watch TV, or read a book. Strength building exercises fire up our “furnace” and raise our resting metabolic rate. Be sure to always seek the professional help of a personal trainer for a program to suit your individual needs. We have 13 trainers to choose from all over Canberra so if you need any help, don’t hesitate to contact us. I had ridden the diet and weight gain rollercoaster more times than I was willing to admit during the years prior to commencing my training at Succeed, I was in search of a change, and my very first session with Jesse was enough to convince me that “Succeed” was everything I was looking for and more! The commitment to hard work through physical challenges was not a new concept for me as I had been ‘training’ for a couple of years prior to my start with Succeed, however the commitment to myself, and what was truly best for my body, fitness and long term health was a hurdle I had not faced before. So many available fitness options focus solely on instant results without regard for the implications these fast-gain results can have on your body, or for the emotional battles fought only within yourself. “Succeed” is about so much more than just results, and Jesse was ready to help me face these battles head-on! Jess’s unwavering dedication, support and guidance have been instrumental in me finally achieving success with my weight, and in me achieving amazing results with my fitness; a level I never thought possible for myself. Jesse is passionate about what he does, and you can not help but become enveloped by this attitude. He is a constant source of motivation and displays a genuine commitment to ensuring you reach your goals and true fitness potential. Jesse offers a service you will not find anywhere else!! I have found that by being encouraged to push through the boundaries and limitations I had placed on myself, that I am capable of so much more that I had believed possible. I have no hesitations when I recommend ‘Succeed Personal Development to anyone. 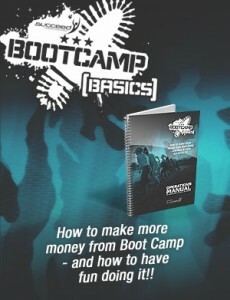 Boot Camp or Personal Training they come out of top. I truly believe that by training with the team from Succeed it is possible to achieve the results you desire. I have.